San Miguel Designs will be hosting a bazaar featuring their fashion and art this weekend in Mexico City. 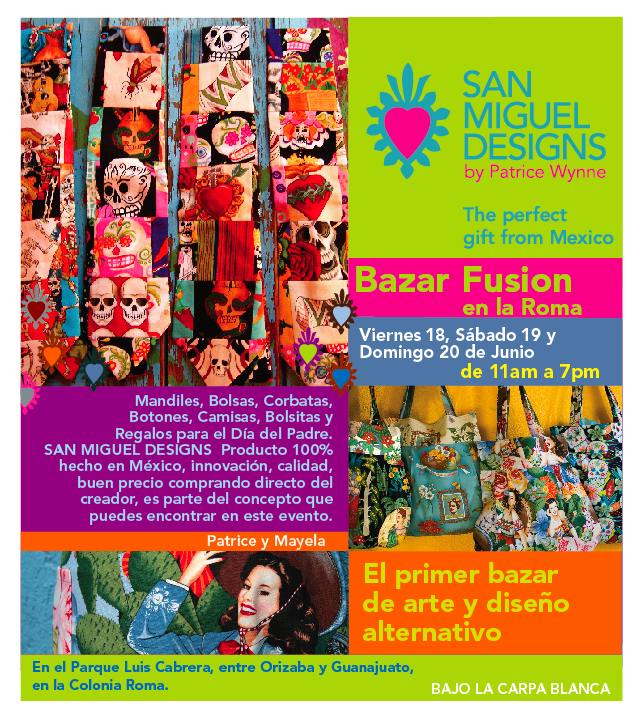 San Miguel designs are known for their innovative combination of art and alternative design. Buy bags, clothes, shoes, jewelry and other accessories straight from the designer. All products are 100% made in Mexico and at a great price! It’s the perfect place for original Mexican souvenirs and designs. To see products and find stores featuring San Miguel Designs, check out San Miguel Designs.